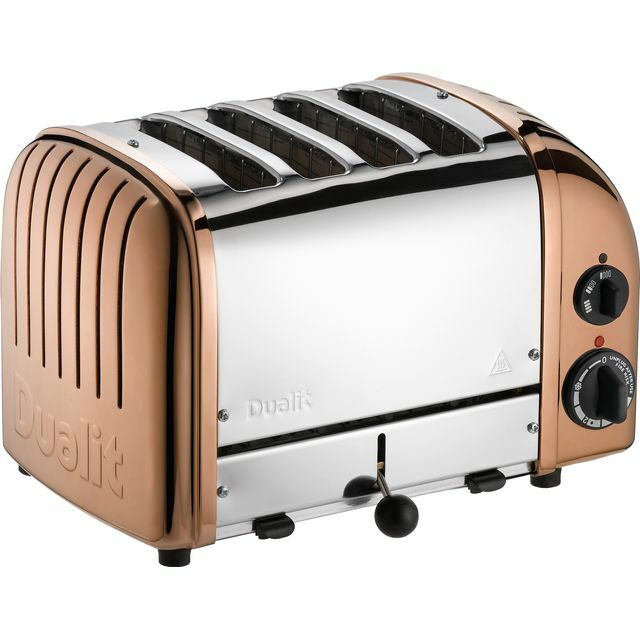 For a touch of retro style, look no further than this cream 4 slice toaster from Dualit. 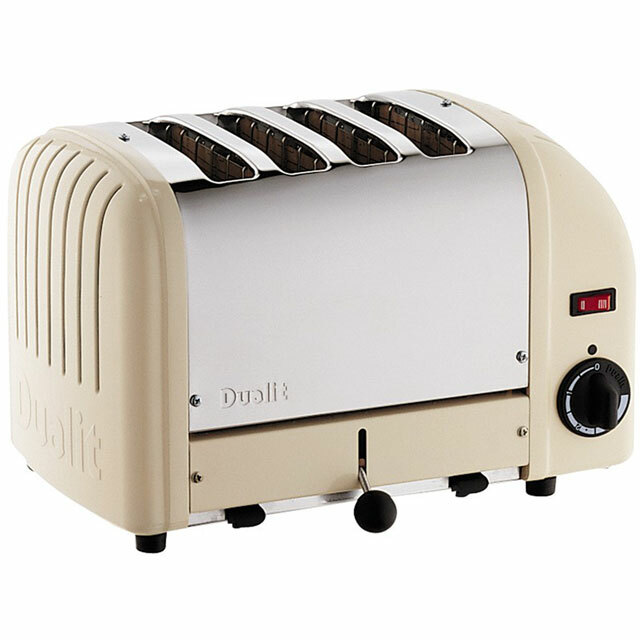 Whether it’s crumpets or muffins, the high lift function makes it easy to remove smaller items without burning your fingers. 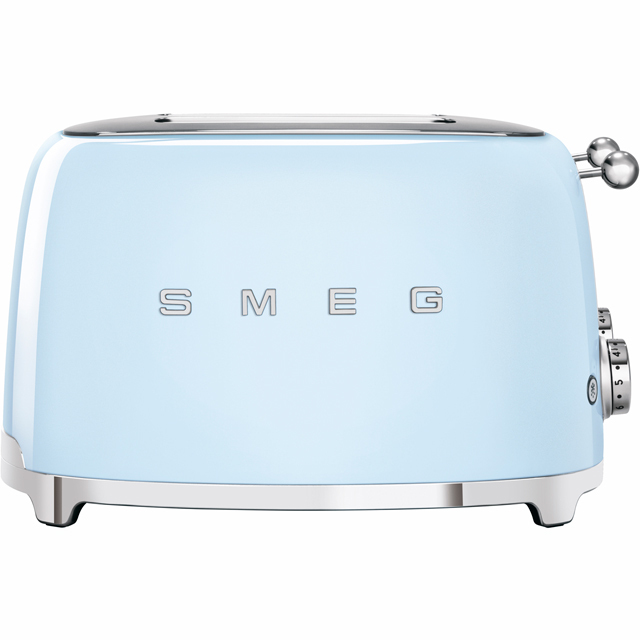 It also has a handy defrost function, which quickly thaws frozen bread, so there’s no need to worry if you’ve left a loaf in the freezer overnight. 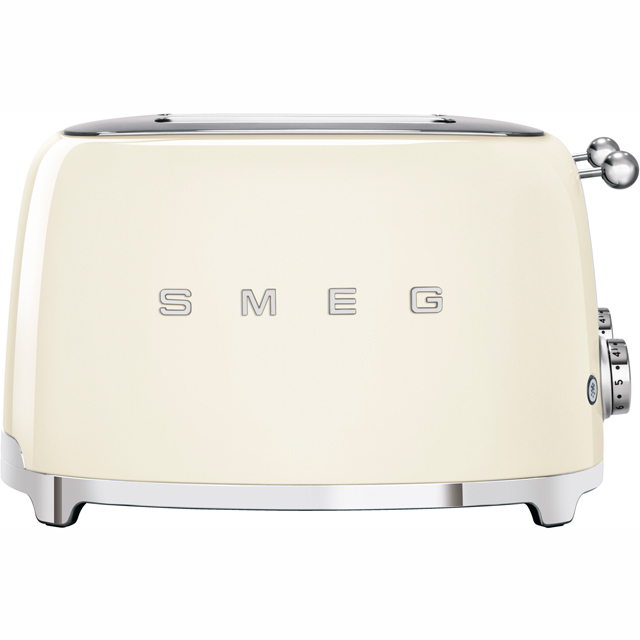 The ProHeat Elements create a protective plating that surrounds the filament, helping to keep the toaster in great condition. 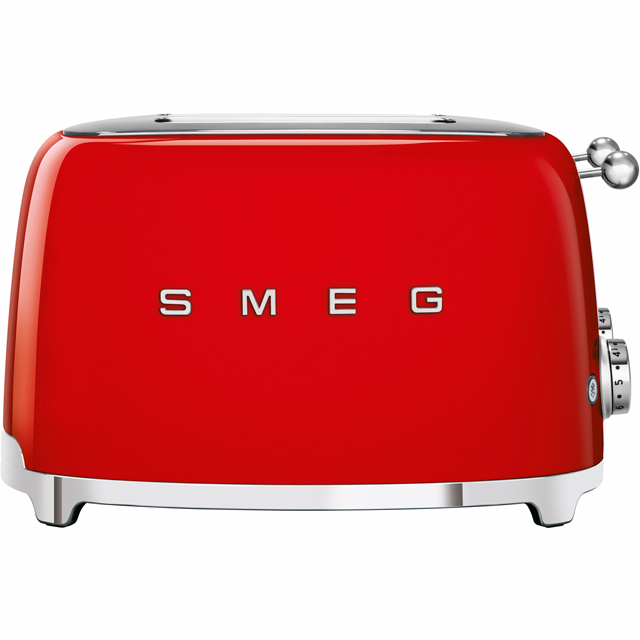 This model was manufactured in Great Britain.